© 2019 Smart Vietnam Visa. Vietnam requires all US citizens visiting the country to have a Vietnam visa to visit and stay in the country. So, whether you want to sample the oriental cuisine of Vietnamese dishes, or visit the War Memorials of Saigon City, you will first have to get a Visa before you start booking your tickets. The most convenient option for Visa application for Americans is to apply online. It is time-efficient, money-saving, and hassle-free! Americans also have the option of applying for a Vietnam visa from the Vietnamese Embassy or Consulate in the United States. This process, however, is more meticulous and time-consuming. And unless you live somewhere near the Lion Building, Washington D.C., it makes no sense to spend so much money travelling and commuting to the Consulate, when you can easily apply for the same Visa from your home. You will only need a passport and some information about yourself to get the application started. Your passport needs to be valid for a minimum of six months as you begin the application process. The application form is simple and requires only some basic information that includes your full name (as recorded in your passport), your Passport Number, your Date-Of-Birth, etc. You will also have to mention your Date-Of-Arrival which will determine the validity of your visa. You can make use of any Standard credit card service to make the transactions for the visa fees. 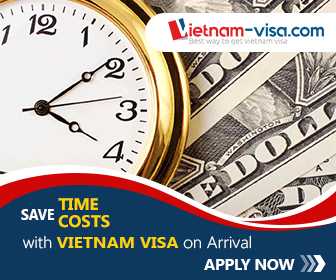 Before the Vietnam Authorities send your Approval Letter, they may ask you for a Visa Code. If they do, all you need to do is click here and get your visa code ready so that you receive your Letter of Approval on time. So, if you are planning to visit the beach resorts at Phu Quoc, or gaze at the Forbidden Imperial City at Hue, you need not look further. Get your luggage, grab your gear, and instantly get your Visa here!